Don’t miss this unique opportunity to hear from the Chief Economist for Truckstop.com and Principal of Transport Futures on the state of logistics. 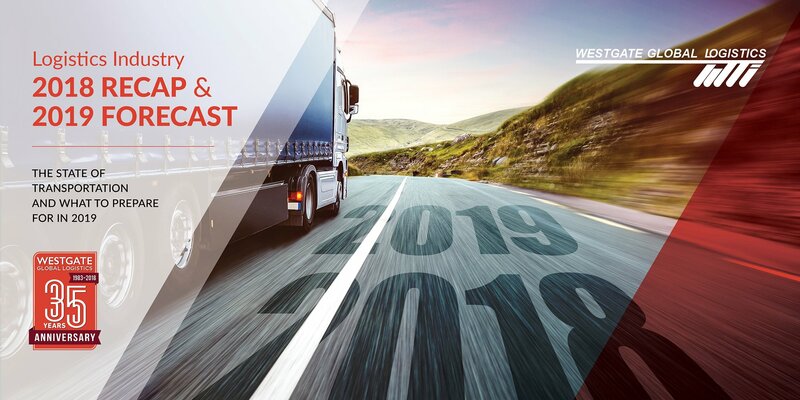 This will be a powerful webinar for you to quickly get up to speed on trends affecting freight and logistics and gain insight on how the rest of 2019 and 2020 will shape up. 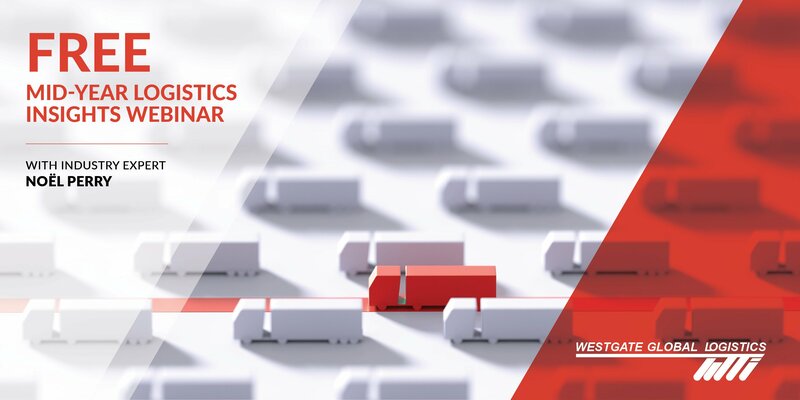 Westgate Global Logistics is hosting this webinar at no cost to help participants get the critical industry data, insights, and outlook they need. Noël Perry, has been provoking the transportation market for more than forty years. He is one of the most insightful and knowledgeable leaders regarding freight and the broader economy. As a respected analyst and futurist, Noël is known for questioning, researching, and always providing statistics and analysis to back up his findings. Please join us on June 4th, 11am ET for a LIVE Webinar hosted by Westgate. 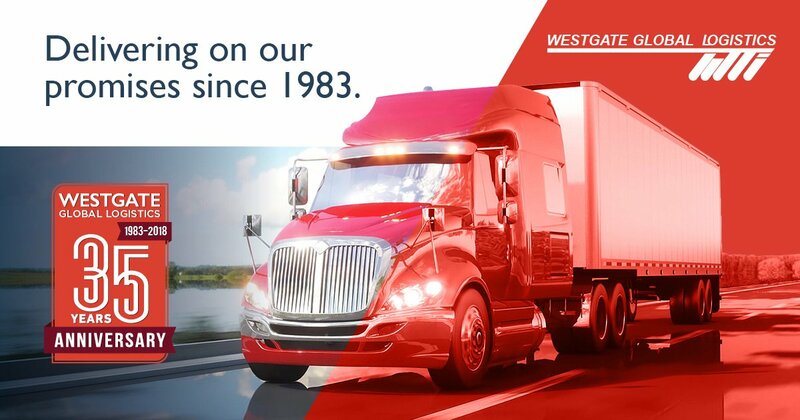 About Westgate: Westgate has 35 years of consistently delivering expertise in handling specialty loads, maintaining a large network of resources, and exceptional personal service. Reach out to us and allow one of our Certified Transportation Brokers to experience our boutique approach to streamlining logistics through an extensive network of resources, trained brokerage experts and unique personal service. Submit your questions to Westgate and we will pass them on to Noel to address during the session. 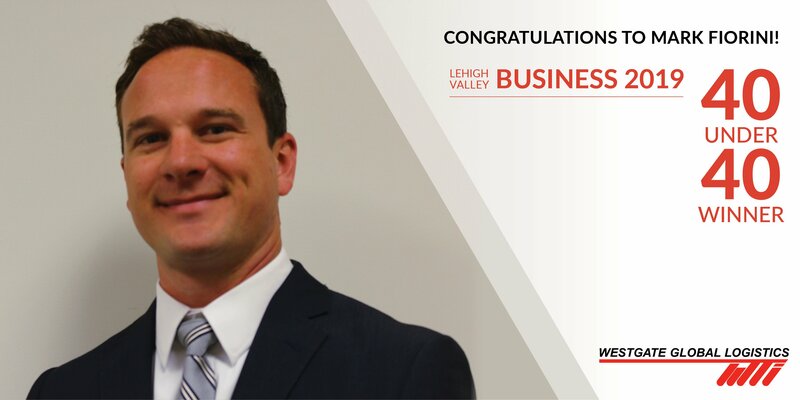 Today, 40 young professionals from the Greater Lehigh Valley were named as Lehigh Valley Business Forty Under 40 honorees for 2019. 2019’s honorees were selected based on their contributions to their companies, industries, and communities. These individuals will be recognized at the seventh annual Forty Under 40 awards reception and ceremony in April. We’re elated that our own president, Mark Fiorini has been chosen to receive this award. Like each of the honorees, Mark was selected for his commitment to business growth, professional excellence and the community. And thank you for all that you do for this company and the industry at large! For more information and to obtain tickets for the event, click here. To see the full list of 2019 Forty Under 40 honorees, click here. 2018’s strong growth in the beginning of the year trailed off a bit as the year went on. The fourth quarter experienced a bit more of a boost than the normal holiday demand due to concerns of the upcoming tariffs and shippers trying to get ahead of this additional expense. The Chinese tariff was supposed to go into effect January 1, 2019 but has been delayed for 90 days to allow for more negotiations. 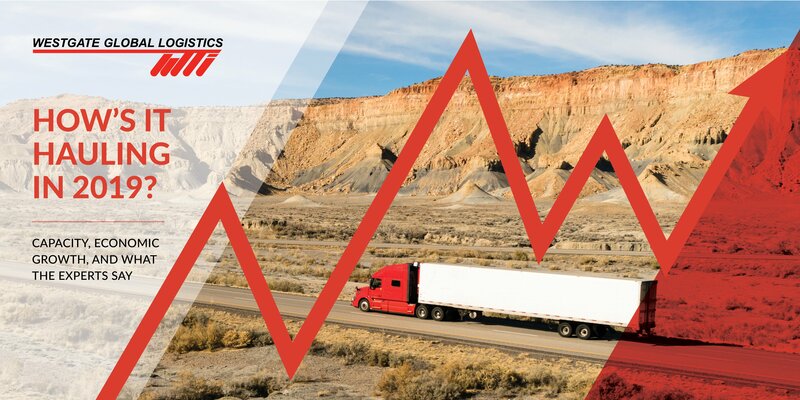 Even with this end of the year slight surge, 2018’s freight demand ended lower than at the beginning of the year. For carriers, 2019 may seem slower when comparing it to the frenzy we experienced in the beginning of 2018. For shippers, they can look for potential easing capacity issues, but there are still more loads than trucks in most lanes according to DAT. We are not out of the capacity woods yet. American Trucking Associations’ Chief Economist Bob Costello also expects continued, but slower, growth in demand for freight hauling in 2018. He said, “We have hit the peak in the current freight cycle,” Costello said. • Unemployment levels remain low and personal income is rising which could lead to increased spending. • There is wide support for FMCSA’s proposed Hours of Service (HOS) changes which could alleviate some of the drive shortage by attracting more drivers to our industry. • Many economists warn of continued market and economic volatility in the first half of 2019. This can cause a depressed freight demand. • Even though we listed the HOS changes as a positive, we expect a continued driver shortage while we wait for improved regulations to reinvigorate the appeal of the profession. Westgate Looks to the Future as it Celebrates its 35th Year! Our passion for delivering exceptional logistics services continues to be at our core and is why we have thrived in this constantly-changing industry. Since Westgate was launched in 1983, the company has grown in size and variety of services. 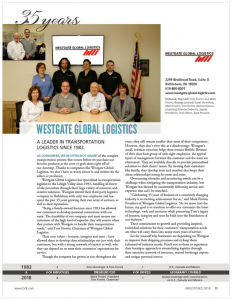 Today, Westgate offers a full range of logistics services including truckload, LTL, specialized services, and more. Founder Tom Fiorini’s son, Mark Fiorini, has since taken over the leadership roll as president of the company and continues the company’s legacy as a premier transportation partner. Though the company has grown in size throughout the years, we still remain smaller than most of our competitors. However, we don’t view this as a disadvantage. Westgate’s small, intimate structure helps us remain flexible. Because of our close-knit group of eight employees, the typical layers of management between the customer and the team are eliminated. We are available directly to provide personalized solutions to our clients’ issues. We treat our customers like family, resulting in close relationships that last for years and years. Westgate’s commitment to growth and providing exceptional solutions for our customers’ transportation needs are what will carry us into many more years of service. See for yourself why businesses are depending on Westgate to improve their shipping processes and to keep them informed of industry trends. Reach out to us to experience our boutique approach to streamlining logistics through an extensive network of resources, trained brokerage experts and unique personal service. Take a look at our featured article on page 15 of the Lehigh Valley Business publication. Nowadays being an efficient shipper has received a ton of buzz, simply because of how much of a difference it can make in the costs of running a business. 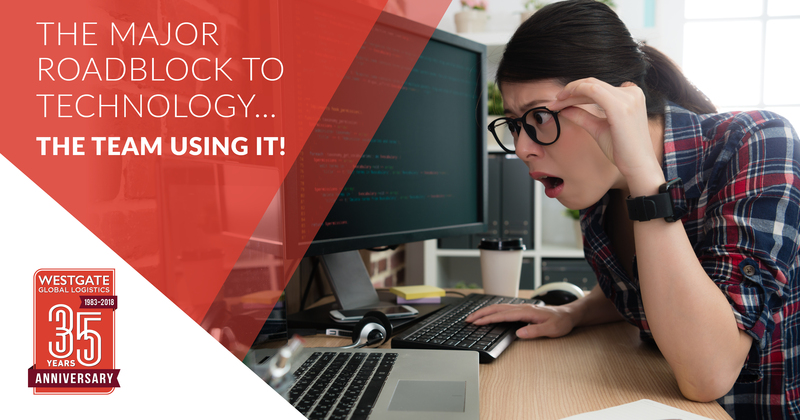 But did you know, even with all the new mandates, price compression, and industry changes, you could still help manage your shipping expenses by paying attention to overlooked ways to improving shipping efficiencies? Some freight budgets are being revised around the New Year, because it turns out many businesses are seeing losses of 8-10% due to inefficient shipping practices. Understanding the ELD implementation can be critical to improving efficiencies in your business. We know that as we move past the April 1st deadline for ELD implementation, the already tight capacity landscape will be affected even more as some carriers will drop out of service. Being proactive with our network of carriers by confirming available hours of service and ELD compliance helps us to be prepared in meeting our customer’s desired timelines and in making sure all parties involved are on the same page. 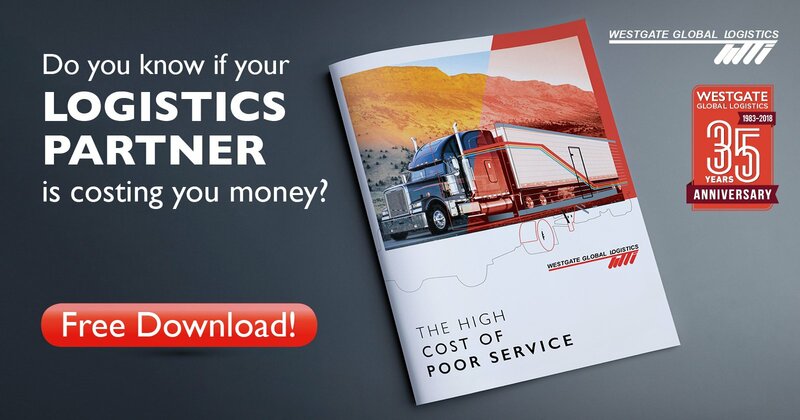 Benefiting from small changes such as proper packaging and maximizing the pallet placement in trucks can have a positive effect on your freight savings and can also limit damage claims. Using standard size pallets (when the product allows) that are in sound condition and properly securing the items to the skid can minimize the number or trucks, and avoid potential damage and/or mishandling. Both the pallet preparation phase and the truck loading phase, can present cost-saving opportunities. Direct impacts from inefficiencies in your processes are going to be felt with higher rate increases in 2018. For example, labor intensive requests on the pickup or delivery end are going to result in even higher rates as these additional services are going to be factored into the quotes. Also, with the additional hours of service constraints resulting from the ELD mandate, prompt loading and unloading procedures will be as important as ever in limiting freight costs and securing capacity. Don’t get left behind in 2018. Get control of your shipping costs now, and inform yourself on how to take the most advantage to help yourself and your business. Have a happy and healthy New Year!